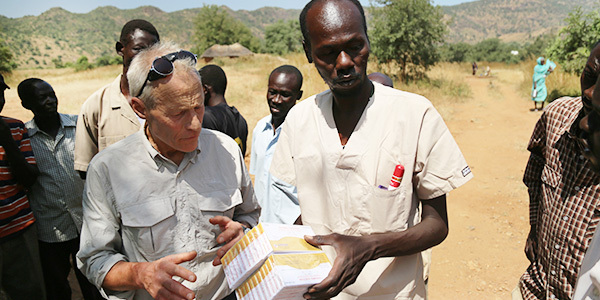 During my recent trip to the remote area, I had the honor to meet with Dr. Tom and Dr. Zacharia again. Their selfless dedication to bringing hope and healing in a forgotten part of the world inspires the kind of gratitude that you can only call love. Despite daily bombing, these heroic, generous, and selfless doctors will continue to treat the wounded, cure the sick, and save lives this holiday season. Their life-saving work is nothing short of a miracle, but the challenges of running hospitals in a conflict zone cannot be underestimated. 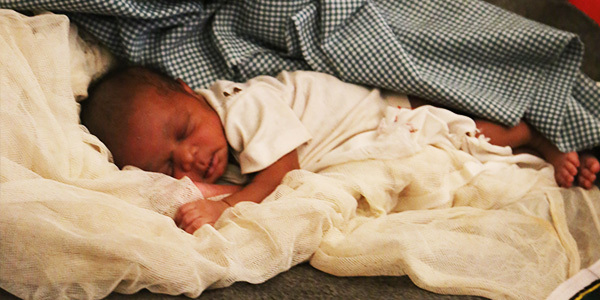 This Christmas, we ask that you share the hope that is found in Jesus Christ and help our sick brothers and sisters. For over a decade, Dr. Tom was the lone doctor serving this region at Mother of Mercy Hospital. He has treated countless patients suffering from rampant diseases, malnutrition, and horrific wounds from the conflict that has ravaged the area. Due to the overflow of patients, Dr. Tom’s services were stretched so thin that he feverishly needed to get additional help. 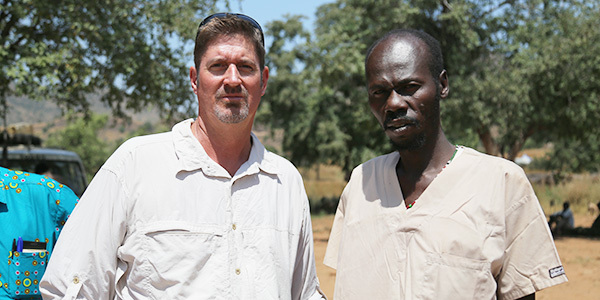 Nuba-born Dr. Zacharia was the first to receive hands-on surgical training from Dr. Tom. Having another trained surgeon on staff has been a blessing, but because of the overwhelming need for medical assistance in a region that stretches 19,000 miles, the two decided it would be best to split up. 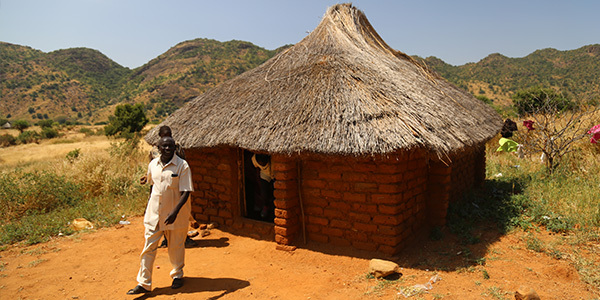 Dr. Zacharia began by creating a clinic of his own and is quickly expanding it to be a complete hospital, El Gigaiba. With so many requiring medical care, both hospitals are in dire need of assistance to meet these needs. Would you be willing to make a special donation of $50, $100, $500 or any amount you can provide to help us reach our fundraising goal of $100,000? With your support, the doors of the Mother of Mercy Hospital and El Gigaiba will remain open to welcome patients who would otherwise die. Click Here to Support Dr. Tom and Dr. Zacharia’s Life-Saving Work! “You need to dream big if you want to accomplish a lot,” said Dr. Zacharia, as he expressed his goal of expanding the hospital to 500 beds. Because of our generous donors we’ve already been able to fund 100 beds for El Gigaiba. However, that number isn’t nearly enough. Dr. Zacharia has the ability to help more of his suffering neighbors, but without adequate space, patients will be turned away and won’t be able to receive the life-saving care they so desperately need. Medicine – this is always on ongoing challenge. Keeping the hospitals stocked with medicine is key to providing life-saving healing, often for sicknesses that are easy to remedy but can be deadly without proper attention. Borewell – clean water is needed for drinking and sanitation purposes. A new well will provide an inexpensive ongoing source of water. Staff Salaries – while the doctors take very little pay (beyond simple living expenses), they need a staff to support their work. X-ray Machine – treating certain injuries are almost impossible without being to perform simple X-rays. A new machine will help diagnose and treat patients. Beds – there is such a large demand for hospital care that there are not enough beds for all patients, which mean some even end up on the floor! Additional beds will provide a safer and healthier place for healing. Please, give what you can NOW to support Dr. Zacharia as they do Our Lord’s work. Due to unsafe conditions in the Nuba Mountains, maintaining a stable work force at Mother of Mercy Hospital is particularly challenging. Often, Dr. Tom is treating 400 inpatients in one day. His dedication and commitment to providing medical care to the most marginalized is truly inspiring, be he can’t do it alone. His dream is to use his hospital as a training center so more people like Dr. Zacharia can also serve the community. Dr. Tom needs ongoing support and immediate assistance to expand his staff. With your charitable gifts, we can continue to fund Dr. Tom’s remarkable efforts and give vulnerable children, women, and families the loving care and hope they need. Will you please give what you can and help us reach our fundraising goal of $100,000? To keep both hospitals open a continual supply of medicine, medical supplies, and staff is urgently needed. If we don’t hurry, suffering civilians will not be able to receive proper care and innocent lives will be lost. It is your gifts that support and keep these hospitals running. By making a contribution, you help us remain a hospital sustainer in the region by providing constant funding to deliver lifesaving medicines and healthcare. This holiday season, we will pray for you because we are so very grateful for the support and hope you so generously give.